Our RM Ricomax Metal Detector review covers the features of this affordable metal detector that’s suitable for the whole family. 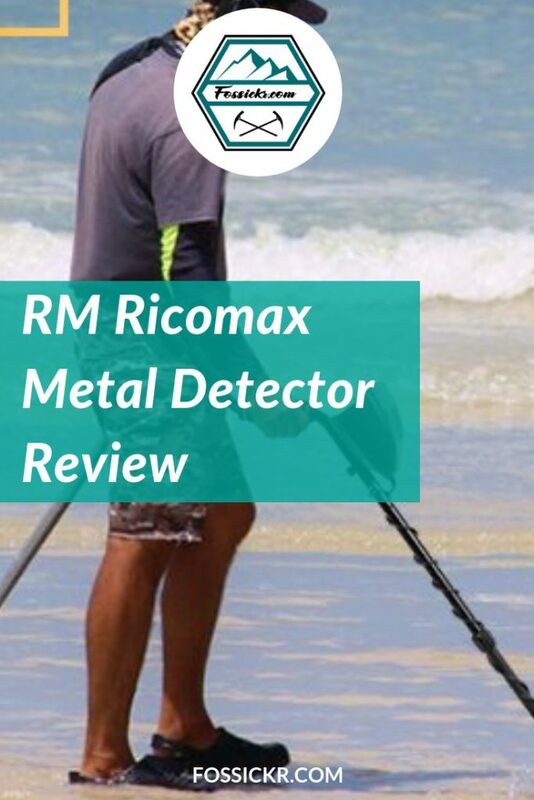 It comes with a lifetime warranty, which shows how confident RM Ricomax is with their metal detector. You can’t go wrong with that. The manufacturer offers a replacement policy with no costs on your side (if you buy via Amazon). The RM Ricomax has a modern, LCD screen and it’s easy to assemble directly from the box. You probably won’t even need the instructions. The shaft is adjustable and because it’s lightweight, the kids will be able to use it without tiring quickly. We think kids from about age 7 and up will have no problem using the RM Ricomax. It comes with three search modes and a pinpoint mode. 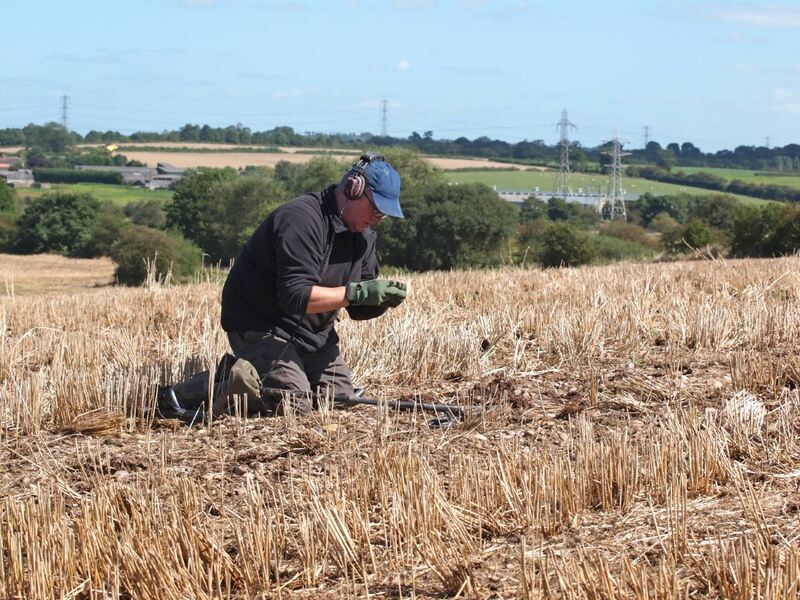 It will detect up to 8 inches and the LCD shows you how deep the object is so you’ll know how far you have to dig. You can use your own headphones as it comes with a 3.5mm jack, or listen to the distinctive audio tones. It has a 10-inch waterproof search coil, but the control box is not waterproof. You’ll be able to use it at the beach and in shallow water, which can be great fun! 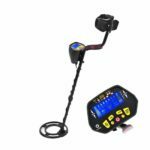 If you want something fully submersible, check out our reviews on underwater metal detectors. The large size of the search coil means you can cover more ground, quicker. We also love the price range of this metal detector. We can’t believe how much bang for under $100 you can get these days. 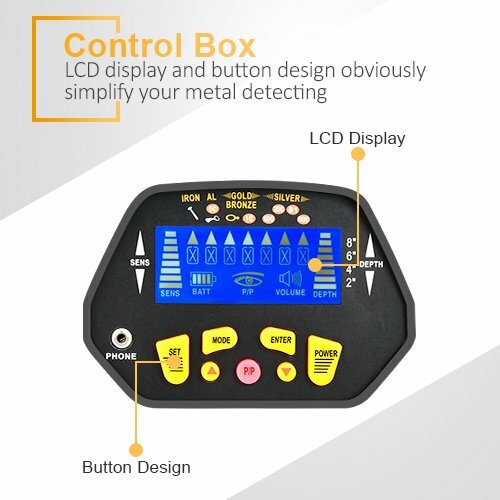 The RM Ricomax metal detector comes with and LCD screen discrimination mode so you can eliminate the metal you don’t want to pick up. 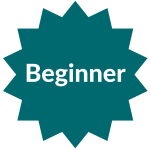 We think this model will suit beginners who are looking for an easy-to-use and affordable starter detector. 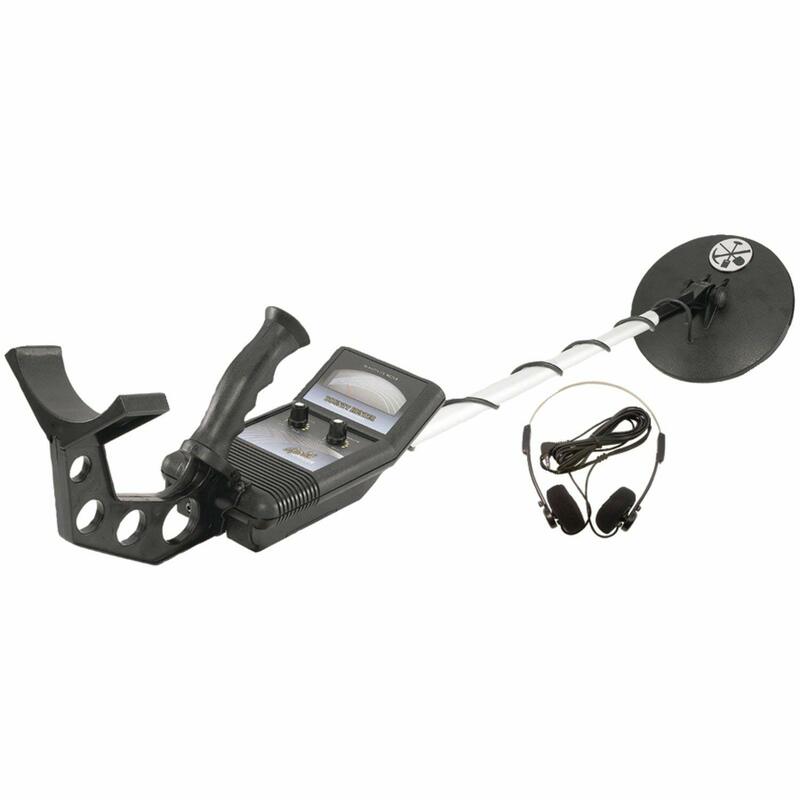 RM Ricomax Metal Detector is protected by a lifetime warranty. How excellent is that?